15/11/2018 Cute Bob is so happy to have found his new, forever home. 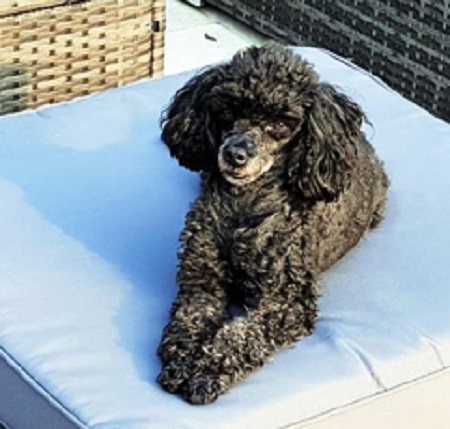 Cute Toy Poodle Bob finds himself looking for a loving home with the help of South East Dog Rescue in Kent due to a drastic change in his owner’s circumstances. Bob will be 8 in February 2019 and he’s a teeny-tiny dog with a massive personality. He’s the most sweet and loving dog who just wants a lap to sleep on all day. He can be left for a few hours but wants someone around for most of the day to cuddle with naturally. Bob is quite the perfect all-rounder as he is house-trained, good in the car and great with kids and cats. He is also good with dogs of any size and has a good recall off-lead. He’s a bit worried about being groomed and needs a gentle approach during grooming sessions. Bob was castrated in 2015 and had his leg pinned in 2012 after a fracture. Please mention that you saw Bob on the Oldies Club website.